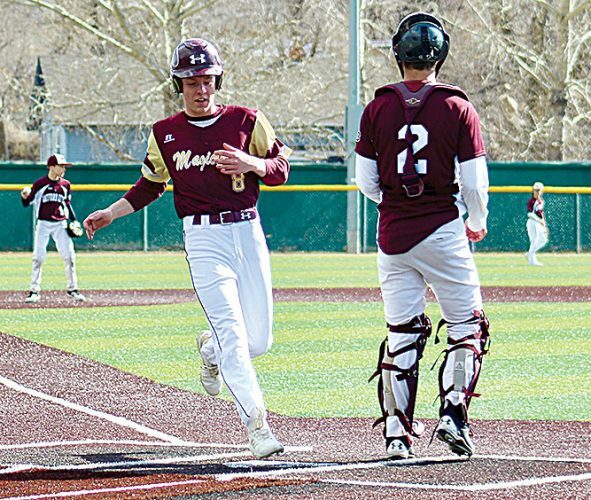 Justin Martinez/MDN Senior Mason Diehl winds up for a return in Minot High's match against Grand Forks Central on Friday at Hammond Park. 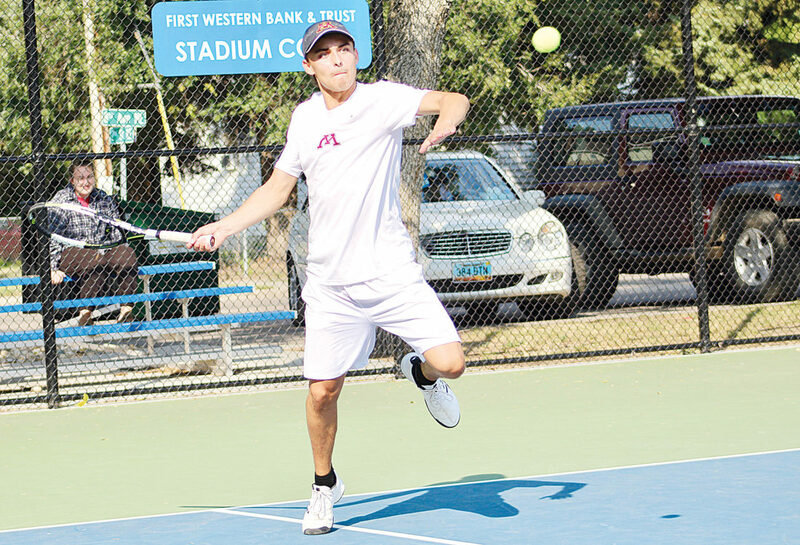 The Minot High School boys tennis team couldn’t hang with East Region teams Grand Forks Red River and Grand Forks Central on Friday at Hammond Park. The Magi (5-3, 1-0 WDA) lost both non-conference matches in back-to-back sessions on their home courts, falling to the GFRR Roughriders 5-2 and being swept 7-0 by the GFC Knights. 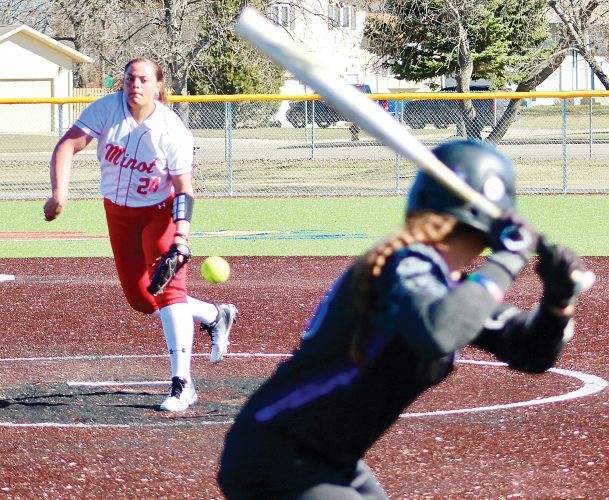 Minot’s run of eight home events to start the season now comes to an end. 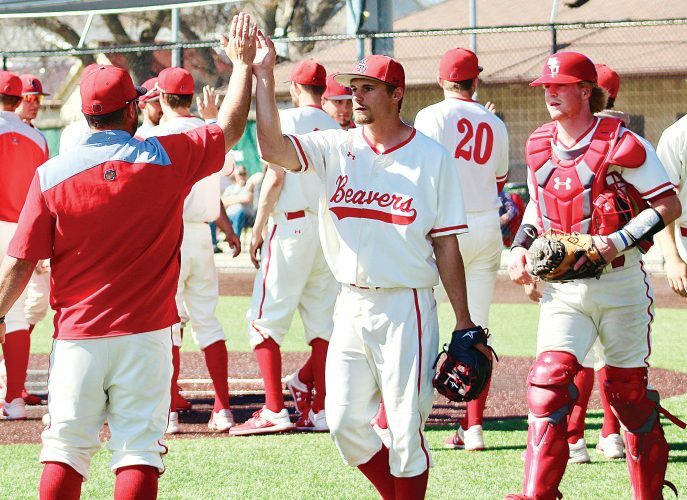 The Magi hit the road for the first time this season to face Mandan at 4 p.m. next week Thursday (Sept. 13). MANDAN — The Minot High girls swimming and diving team put up a strong performance against the Mandan Braves at the Mandan Aquatics Center Friday evening. The Majettes took the dual 126-60 over the Braves. In each of the relays, Minot High took first in each event. The 200-yard medley relay team of Iris Jessen, Rylie Webb, Emily Brugman and Brooklyn Filler took first with a time of one minute 58.38 seconds. 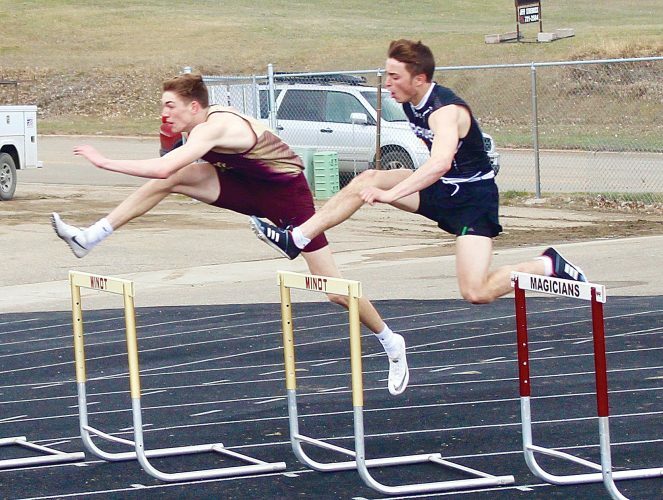 Minot’s ‘B’ and ‘C’ relays finished third and fourth. The Majettes 200-yard freestyle relay took first with a time of 1:47.55. The relay was comprised of Payton Luzardo, FIller, Brugman and Hannah Zaderaka. The 400-yard freestyle relay comprised of Zaderaka, Webb, Luzardo and Jordn Wolsky took first with a time of 3:55.93. Diving senior Adisynn Widdel took first in the 1-meter dive with a score of 249.50 followed by Mandan’s Olivia Lacher (208.40) and fellow Majette Olivia Schoffstall (199.50). Webb took home first place in both her individual events for Minot High. She had a 2:04.20 in the 200-yard freestyle and a 5:39.13 in the 500-yard freestyle. Wolsky out-touched Mandan’s Mayson Sheldon to take first in the 200-yard individual medley with a time of 2:22. Wolsky also took first in the 100-yard butterfly with a time of 1:05.81. Zaderaka, Elise Altringer and Allie Elliott finished first, second and third in the 50-yard freestyle, scoring a total of 13 points for the team. Brugman took first in the 100-yard freestyle with a time of 58.54 for Minot High. Mandan took first in the breaststroke and backstroke events. Josey Jackson finished first in the 100-yard backstroke with a time of 1:08.79 while Sheldon finished first in the 100-yard breaststroke with a time of 1:12.67. The Majettes jump back into the pool today at the Bismarck State College Aquatic Center. The invitational begins at 10 a.m.
BISMARCK — The Minot High School girls golf team finished third for the fourth time this season on Friday at the Bismarck Invite held at the Tom O’Leary Golf Course. Century picked up its fourth win of the year entering the halfway point of the season. The Patriots shot a 319, led by the duo of Hannah and Leah Herbel. The twin sisters finished 1-2 with Hannah carding a 74 to beat Leah by two strokes. Mandan took second place with a team score of 337 with the Braves top golfer, Deona Roehrich, tying for third place individually with Bismarck St. Mary’s Gabby Easton at 78. The Majettes, with a team score of 340, placed on the podium with senior Joelle Fettig and junior Becca Tschetter both shooting an 80 to tie for fifth place. Also golfing for Minot were sophomore Sydney Berg (88), sophomore Bella Dobrinski (92), junior Jaci Jones (92) and sophomore Savanah Brintnell (100). It was a challenging day out on the course. Still swinging for their first win of the season, the Majettes head back to Bismarck on Tuesday for the Legacy Invite being held at the Riverwood Golf Course. WATFORD CITY — The Minot High School volleyball team couldn’t finish off close sets and fell to 5-6 overall (1-4 WDA) on the season with a 3-1 road defeat at Watford City, a school in its first season at the Class A level. The Wolves won by set scores of 25-21, 28-26, 22-25, 25-23. Caitlyn Messner led MHS in kills (11) and aces (five). Behind Messner, five different Majettes had five or more kills: Sydney Beck (seven), Carrie Otto (five), Allie Nelson (five), Hailey Espe (five) and Alyson Lucy (five). Setter Espe also finished with 20 assists and seven digs. Paige Rosencrans had nine assists and seven digs. Morgen Theis led the team with 14 digs. Carrie Otto had a team-high two blocks. The Majettes return to the court this afternoon at 3:30 p.m. in Dickinson.